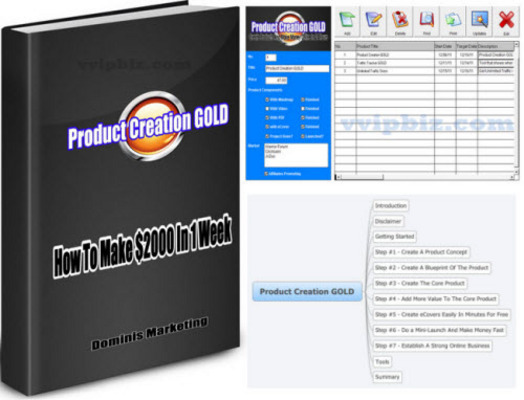 Product Creation GOLD - How to create a product in a few hours and do a quick mini-launch to make fast money in 24 hours. I just have to warn you. This is not a get rich quick scheme. You'll need to focus and create a product on a topic that you know by heart. Social Media, etc are also creating products. This is because nothing beats product creation in terms of making money online. This guide will focus on teaching you how to create an original work fast, something that you can be proud of and sell at a higher price.